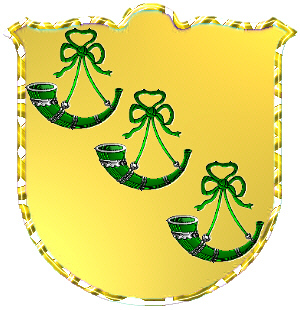 Coat of Arms: Gold with three green bugle horns. 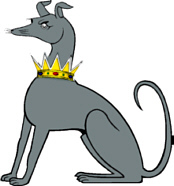 Crest: A greyhound sejant proper gorged with a gold antique crown. Motto Translated: I accomplish the race. # HUNTER. A mailing list for the discussion and sharing of information regarding the Hunter surname in any place and at any time. To subscribe send "subscribe" to hunter-l-request@rootsweb.com (mail mode) or hunter-d-request@rootsweb.com (digest mode). # HUNTER. The HUNTER-UK mailing list is for the discussion and sharing of information regarding the Hunter surname and variations in the United Kingdom. To subscribe send "subscribe" to hunter-uk-l-request@rootsweb.com (mail mode) or hunter-uk-d-request@rootsweb.com (digest mode). # HUNTER. The CLAN-HUNTER mailing list is for anyone with a genealogical or historical interest in the Scottish Clan Hunter. 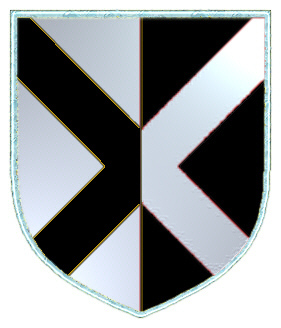 Topics include searches for Hunter ancestors; discussions of Clan history, culture, food, language, tartans, coats of arms, and major events and battles that changed the course of the clan; current events such as the main Clan gathering, rebuilding of the Clan Castle, and museums; and notices of gatherings and meetings from the official regional and international Clan associations. To subscribe send "subscribe" to clan-hunter-l-request@rootsweb.com (mail mode) or clan-hunter-d-request@rootsweb.com (digest mode). # HUNTER. 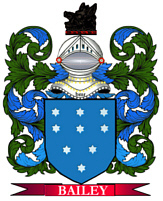 The HUNTER-ROBERT mailing list is for the discussion and sharing of information on the ancestors and descendants of Robert Hunter (1780-1841) of Greenock, Renfewshire, Scotland, and his wife Isabella Ross. To subscribe send "subscribe" to hunter-robert-l-request@rootsweb.com (mail mode) or hunter-robert-d-request@rootsweb.com (digest mode).